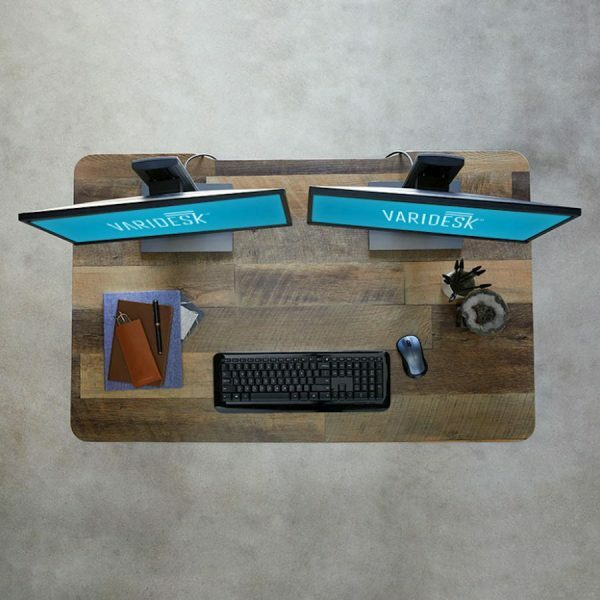 Varidesk is the industry standard and gives you the best quality available. It is not just for office use, with the 48″ wide option, having a quality variable height desk in your home office is easier than ever. The steel construction and crossbar system provides the best stability. It requires a partner to help due to the weight (119.5 pounds), however, assembly is very easy and only takes about five minutes. 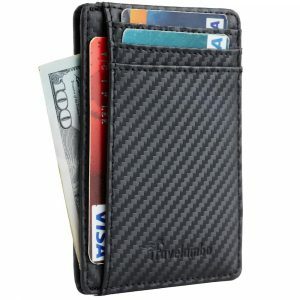 It uses a quiet, powerful motor that permits variable adjusting from 25.5 to 50.5 inches. 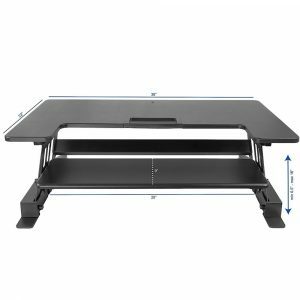 There is an option for the 60 inch top, 5 colors/finishes, as well as expert assembly if needed. 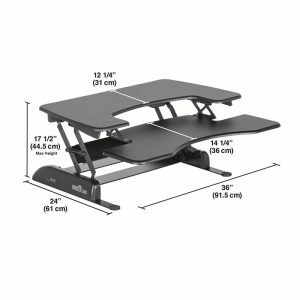 The 48 inch width by 30 inch top allows plenty of room and it supports up to 200 pounds! 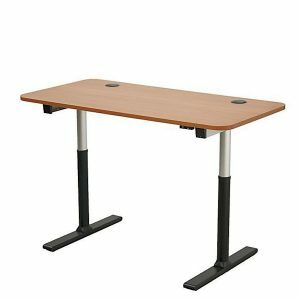 It is a great sit stand option variable height desk that can fit into smaller home based offices very well. Includes a nice cable management system tray. Choice of finishes: Reclaimed Wood (personal favorite – less clinical looking, really nice), Darkwood, Butcher Block, Black, and White. 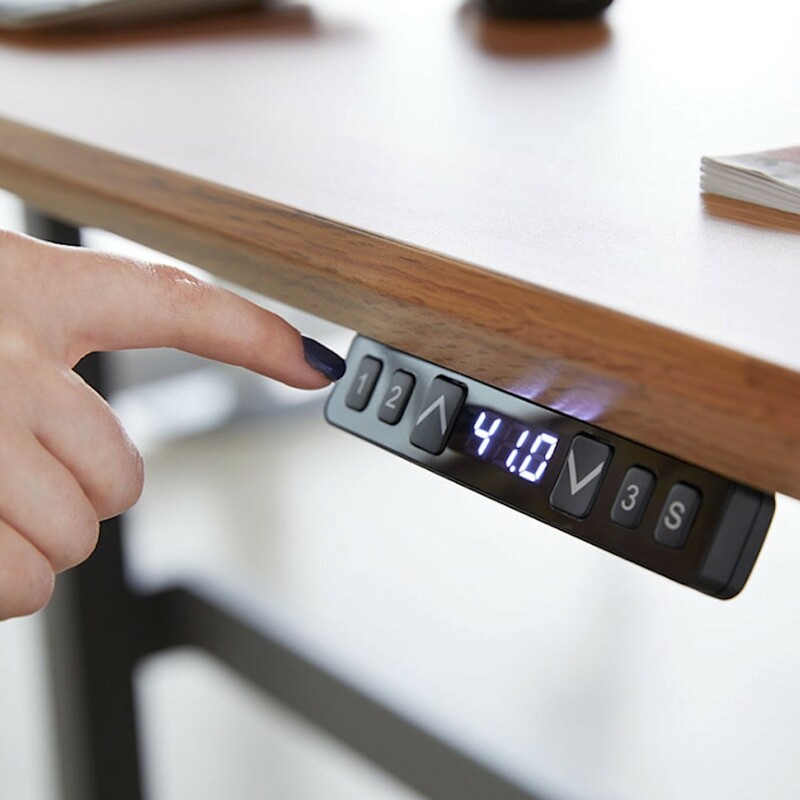 Desk based workers are especially vulnerable to health risks related to prolonged sitting. The typical office worker sits for over 80% of the work day. In most developed countries, desk based work is major type of employment. 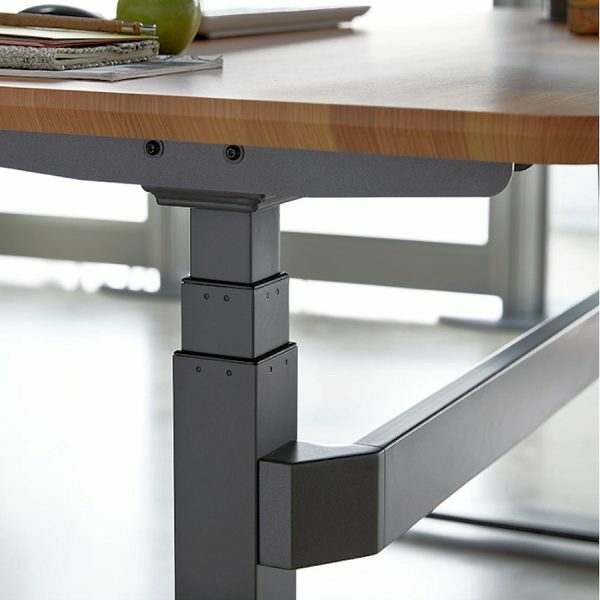 Using an adjustable desk that allows sitting and standing is a viable strategy used to reduce sedentary sitting time. Since high levels of sitting pose a risk of increased overall mortality, obesity, cardiovascular diseases, type 2 diabetes, musculoskeletal discomfort, and fatigue. 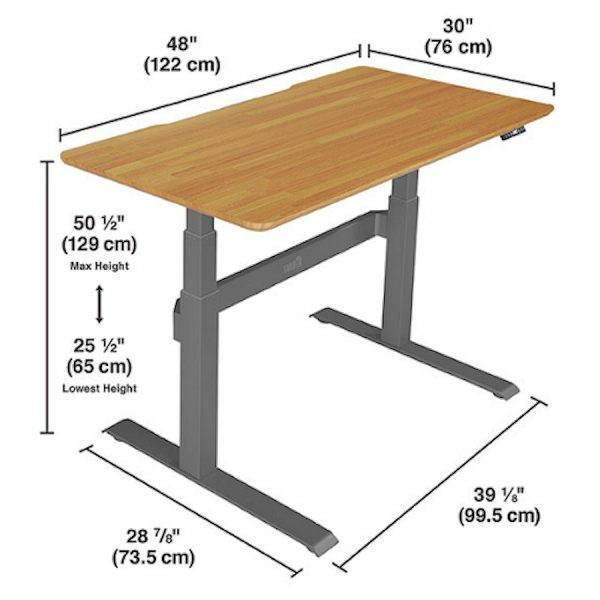 Using a variable desk to break up sit time with periods of standing may help reduce these health risks. They are well accepted by users. A 2014 review in Applied Ergonomics Indicates no loss of productivity and decreases in discomfort levels. 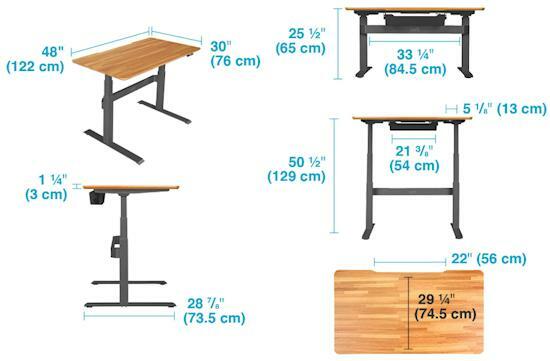 These desks appear to be effective in influencing health outcomes, improving mood and performance. 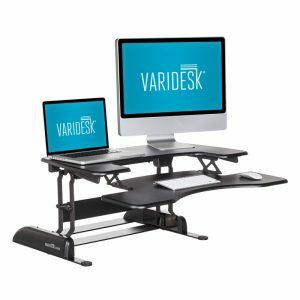 Using a variable height desk needs to be part of a more comprehensive approach to both ergonomics and health, but it is certainly part of the solution that effects so many workers. Make sure you can understand the risks of prolonged sitting as well as possible benefits, and make it a goal to improve your health and productivity for best results. It is not a magical cure and you need to be committed to a new, more active work style. 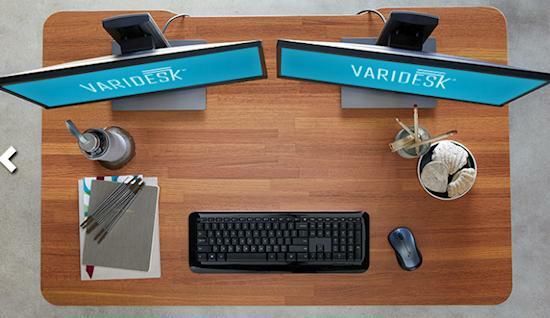 The perception of personal advantages from less sitting will increase the chances of your variable height desk being used frequently. Make it a habit as a behavioral action to reap the wonderful benefits of sitting less at work and the chances of success is greater. Don’t make it just an expensive desk you will sit at all the time like you do now. Many report higher levels of activity, reduced pain, especially back pain, and a higher satisfaction related to work. There are perfectly reasonable explanations for this, but it is what you make of it. It is a good investment in your future health and productivity if you use it as intended. You still need to work on ergonomics when standing and sitting and do other methods to improve health and reduce pain, but this is a great start that does require active effort at first. So, you still work on an ergonomic sitting and standing posture, take time to walk away for a break, perform correct stretching, work on or incorporate methods for pain relief, and consult a health care professional for pre-existing conditions. For example, do you have a knee condition like arthritis? 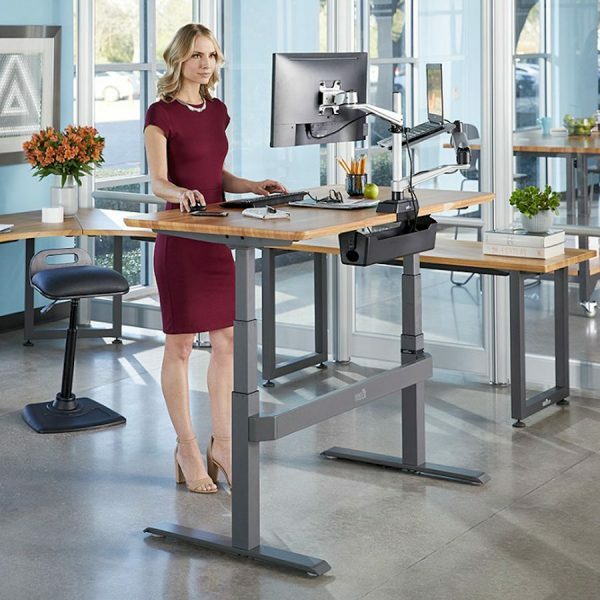 It may be that periodic standing while working will aggravate the problem, or it may actually help to strengthen the area and promote healing and relief. If you have forward head posture or poor overall posture, this can be a cause of pain and continued strain. 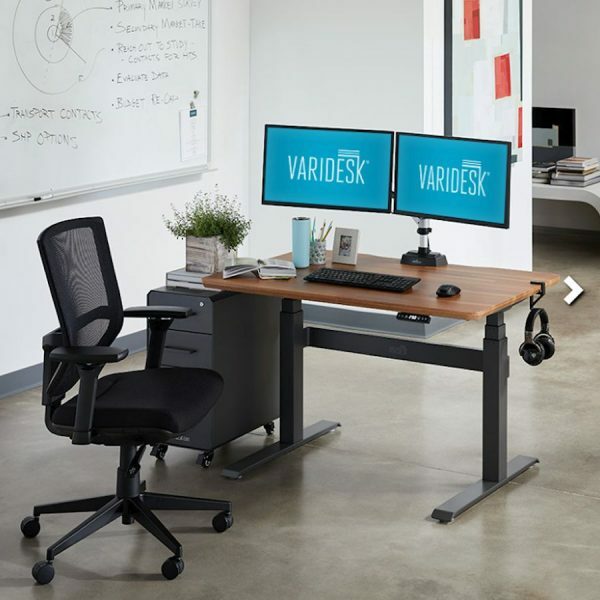 By periodically standing throughout the day, you may have more energy, awareness, and strength so, when you do sit, you can more easily accommodate a better ergonomic posture for both the back and neck. This can have a positive influence on mental health as well. So, you can transition from sitting to standing easily with a variable height desk. 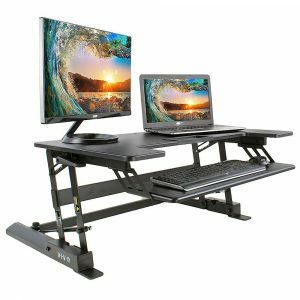 But how can you best transition from a regular desk to a standing desk. As stated previous, you must consider any pre-existing conditions and follow your health care providers recommendations. In general, we can relate to our previous note on depression. A study….. so a reasonable goal is to reduce sitting tome in half. This needs to be a gradual transition, so take it slow at first. However, you can find what works best for you. You can sit a half hour and stand a half hour. Alternate every 20 minutes and employ other methods of varying transitions each hour. You need to get a bit creative, but this is part of the process of becoming actively engaged in your current and future health. A 2013 study in the American Journal of Preventive Medicine examined epidemdiological data from almost 9,000 50-55 year old women and found that those who sat less than 4 hours per day had almost half the risk of depression than those sitting for 7 hours per day. So, this study not only indicates a correlation with depression, as noted previous, but gives insight into the transitioning goal of reducing sitting time in half using the desk. Additionally, the authors of the study noted, “Reducing sitting time may ameliorate current symptoms.” This gives us insight that beneficial effects can be seen for existing as well as future conditions. 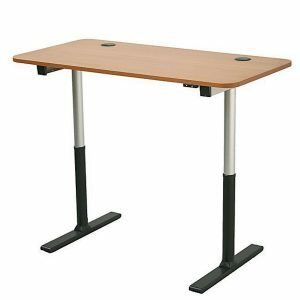 This makes the variable height desk ideal to address the negative physical and mental problems associated with prolonged sitting.